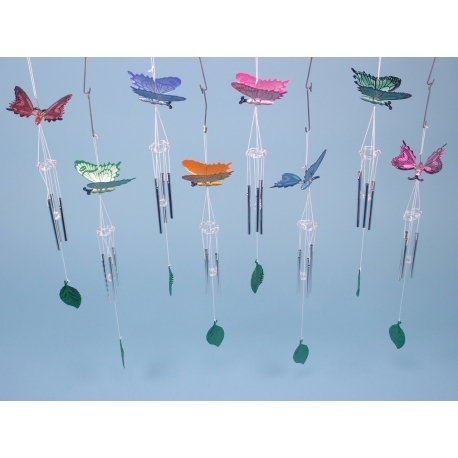 Behold, the majesty of these beautiful Metal Finish Butterfly Chimes - a wonderful addition to any home. Whether hanging in a conservatory, in front of a bedroom or kitchen window or outside under a veranda, no home would be complete without a wind chime. These Metallic Finish Butterfly Chimes are one of the more popular items in our lacquered items collection. Each one depicts a butterfly – one of nature’s prettiest creatures – in a variety of different colours. Hanging underneath are 5 metallic chimes that create a relaxing sound that harmonises like a warm summer’s day. 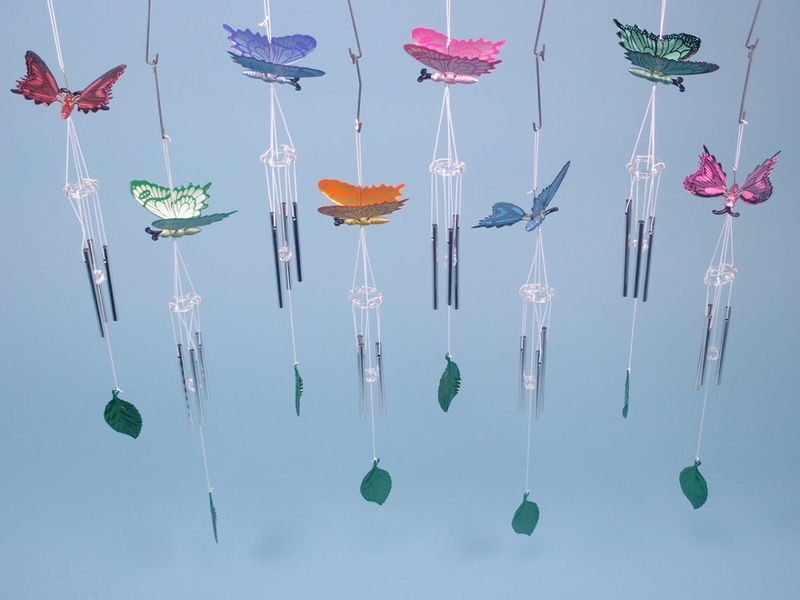 Each chime set is finished off with a decorative leaf that hangs down at the bottom.